Classic Gingham evokes images of the summer countryside: barn dances, bales of straw and picnic baskets. Not this Gingham. This Gingham trend has grown up and moved to the city; cool monochrome, blush pink, baby blue or buttery yellows add a sophisticated twist. The White Company‘s bed linen is a great example; it looks crisp and clean when paired with an all white scheme so even the messiest children’s bedroom looks smart and chic. From candy to pin, the stripe never loses its appeal. Isn’t it amazing that the same pattern can evoke such different visions just by varying the colour and width? 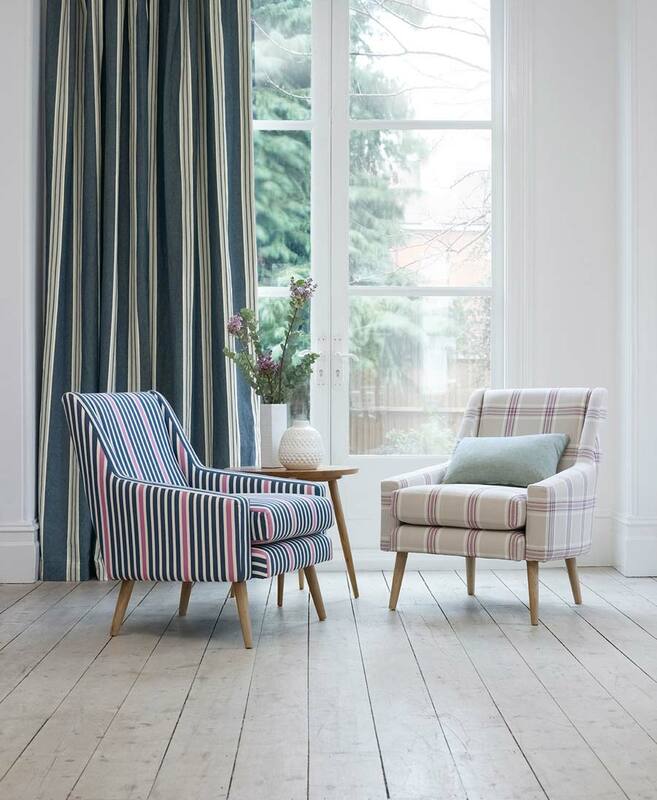 Stripes can create ‘50s kitsch, deckchair mellow or the refined elegance of a town house. While this isn’t a new trend, it is a timeless one, done here with effortless style by Villanova. Geometric prints can be accused of taking themselves too seriously, but catwalks this summer showcased a playful approach. They’ve loosened up. Rigid bold colours have been replaced by flowing, asymmetrical, optical illusions. 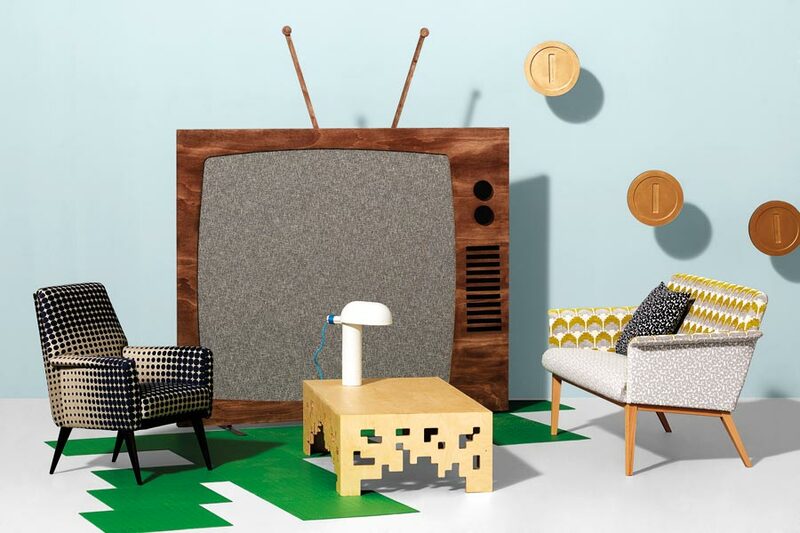 For interiors this trend is cheeky, tactile and stylish. Kirby Designs carries this off with aplomb, the geometry on offer here is unmistakably a 1950s chic re-imagined for a contemporary audience. It’s utterly irresistible. Mention ‘florals’ in relation to home décor and most people will shudder at memories of their grandparent’s sofa’s pastel blousy blooms. 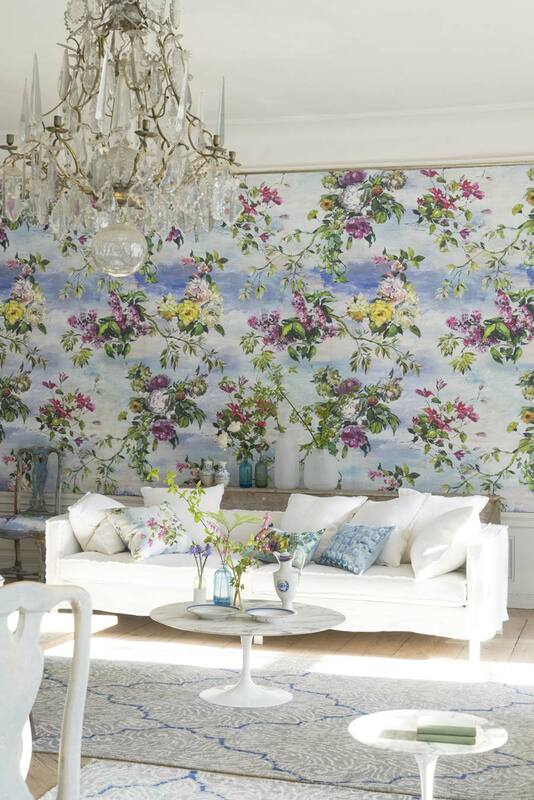 Mention ‘florals’ to an interior designer however, and they’ll wow you with a fresh take on this romantic classic. Tropical leaves in verdant shades with exotic blooms transform a room into a hothouse. Or delicately drawn flora in contrasting shades such as this offering from Designers Guild gives a contemporary kick to the aesthetic. Lush, pretty and not a doily in sight. 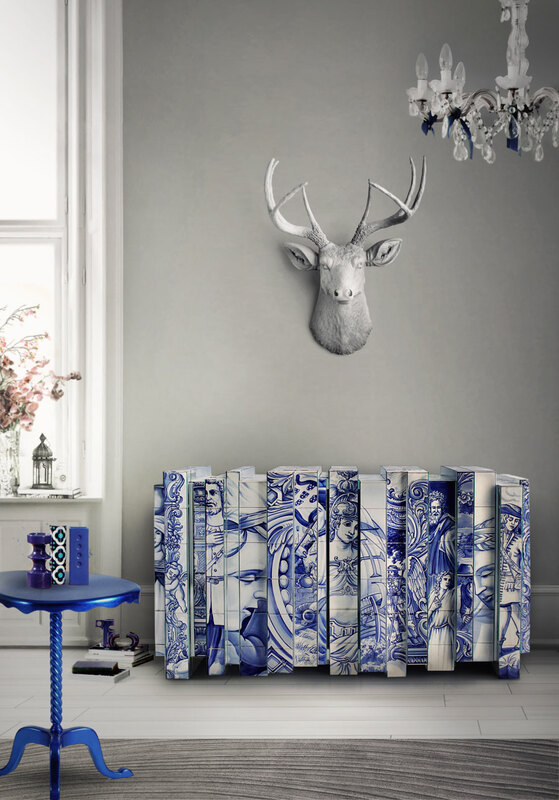 Earmarked by interiors magazines the world over, this Heritage sideboard from Boca Do Lobo exemplifies the abstract trend. This trend is a curiosity. Recognizable pieces are mixed up to create themes that are unfamiliar. It’s about art and interpretation. There’s repetition without symmetry, pattern without repetition, if this trend was music, it would be jazz. Nice. Ethnic patterns bring a boho touch to the catwalks and interiors. Spice colours and cultural designs recreate the romance of travel, discovering the charm and beauty of far away places. 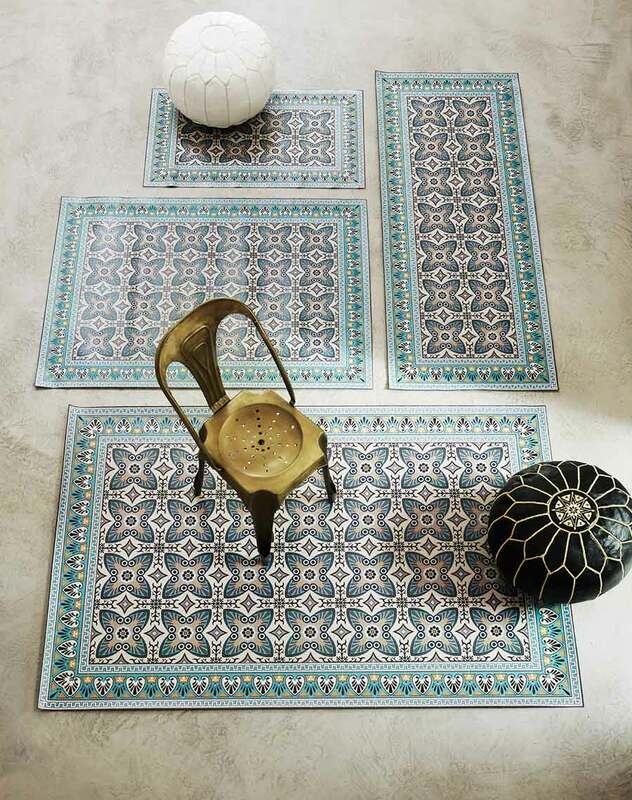 Interior visionaries Graham & Green have captured the Moorish charm of Morocco with these mats. Pair them with intricately patterned tiles and furniture to recreate the buzz of a bazaar in the midday heat or mix with the style of different destinations for that eclectic globetrotter look. Pattern this season is all about high drama, escapism and the unexpected. These trends revel in throwing the rules into the air and watching where they scatter. The catwalks and designers are encouraging us to embrace pattern and have fun. Whether that’s refined stripes, playful geometry, bold florals, eye-catching animal tracks or cultural designs, or even a quirky mix of these elements. If you are feeling inspired but not sure how to put pattern into practice in your living space, then get in touch with our interior design team who will be happy to help.